1) Most of the “mediums” or “mediumologists” of this time were nothing more than charlatans (quacks) that conducted fake seances in order to financially benefit from gullible people looking to communicate with deceased loved ones (Spookshows). 2) Near the start of the 20th century, as the interest in vaudeville began to fade, the public’s interest in spiritualism had been piqued (Spookshows). 3) Harry Houdini, in finding this out, set out to expose these tricksters for the con artists that they were, and did so quite successfully (Spookshows). 4) During the 30’s and 40’s a popular form of entertainment began to evolve from these seances called the midnight ghost show, otherwise known as “voodoo,” “monster,” or “spook” show (Gizmodo). 7) A typical outline of the ghost show involved about 15 minutes of host banter, 45 minutes of spirit conjuring and illusions, and the requisite “blackout,” which consisted of shutting off all the lights in the theater while ghostly apparitions and monsters made themselves known to audience members by terrorizing them (Gizmodo). 8) On October 31st, 1950, a young magician named Philip Morris reserved the auditorium of his high school and performed his first spook show--”The Dungeon of Death”--which was a success (Blogspot). 9) Many of the previous spook show entertainers later hosted horror shows on tv; like the notable Dr Evil, played by no other than Philip Morris (Blumhouse). 10.) Morris’ first show was such a success that he went on to reserve a large theater for his second show, and continued to put on Spook Shows for 27 more years (Blogspot). 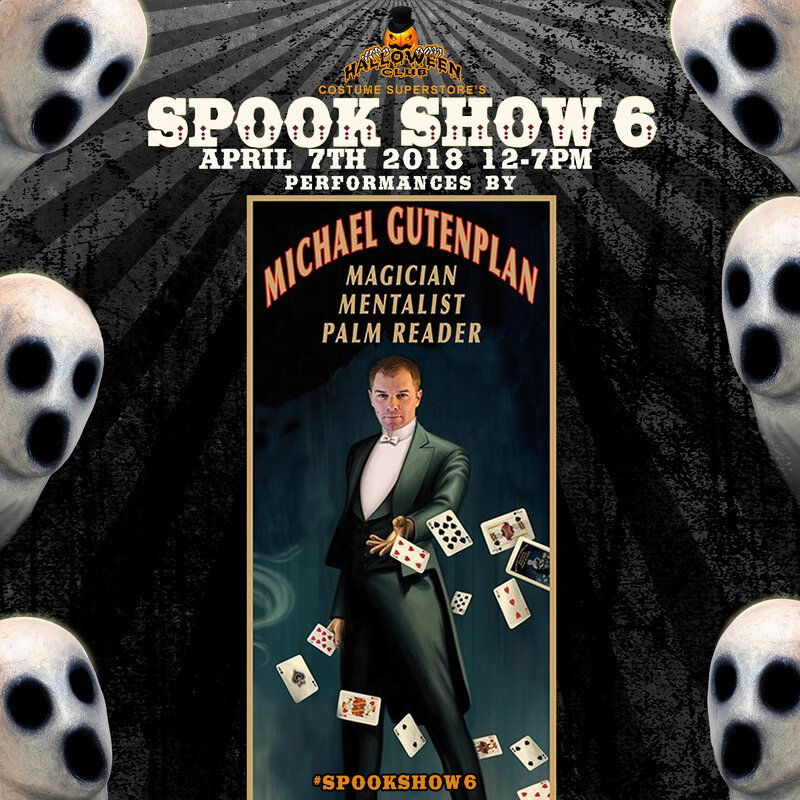 The magic of the Spook Show has intrigued people since the turn of the 20th century (Denofgeek) and still lives on to this day. If you are one of the many Halloween enthusiasts who appreciates a good scare then our 6th annual Spook Show is sure to fulfill your need for chills and thrills. OC WEEKLY (Scott Feinblatt): How did Halloween Club’s Spook Shows get their start? Dora Alfaro: Halloween Club’s Spook Show got its start four years ago when the owner of the company, Jack Bhasin, came to me to coordinate a meeting place for the Phantom Coaches Hearse Club. He suggested reaching out to local spooky vendors as well to see if they would want to make that meeting into a bigger gathering to celebrate the spirit of Halloween in February… essentially creating an actual Halloween Club. Our very first Spook Show was in February that year. 20th century Spook Shows were traditionally events that consisted of seances, magic shows and monsters, but Halloween Club’s Spook Shows are a friendlier take on all that. However, as we continue to grow the Spook Show, we will incorporate some historical elements. This is why our reviewing process of vendors plays an important (and very difficult because there’s so much talent) role in all this. We look for unique and spooky vendors/performers that represent what Spook Shows once were or hold strong appeal to the different subcultures related to Halloween. Our Halloween Club stores cater to all these groups. This includes people with a penchant for horror, gothic, witches, curios, cryptology, steampunk, and the cosplay scene. View past Spook Shows here.